Multitalented superhero Dhanush's recent movie Pa Paandi, which was in superhit list. After Pa Paandi, Dhanush has many movies in his hand like Gautham Vasudev Menon's Enai Nokki Paayum Thotta, Vettrimaaran's Vada Chennai, Soundarya Rajinikanth's Velai Illa Pattathaari, Balaji Mohan's Maari 2, Karthik Subburaj and Durai Senthilkumar's movie. Also One more Hollywood Movie The Extraordinary Journey of the Fakir. Dhanush is also written dialog script for his VIP2 Movie. We already very known, VIP first part super hit. So, Expectation of VIP2 to be huge. For this second part also Amalapaul doing the female lead role. Also, Kajol, Samuthirakani, Vivek, Rithu Varma are doing an important role in this movie. VIP2 Movie Musical part handled by Shan Roldan, Produced by S Dhaanu's V Creations and Dhanush's Wunder bar Films. Recently makers released first look poster and Making Video. Also, Bollywood Superstar Amitabh Bachchan shared first look via his Twitter social media. VIP2 Movie Makers completed post production work and ready for censor. Recently Cine Galaxy for USA and Malik Stream for Malaysia got distribution rights in huge payment. This Movie will be released in 3 Languages like Velai Illa Patathaari 2 in Tamil, VIP2 in Telugu and VIP 2 Lalkar in Hindi. Movie team planning to release on Dhanush's birthday special. Yes, VIP2 will be released on July 28, 2017. Write & Share about "Dhanush's VIP2 sale in Huge price? 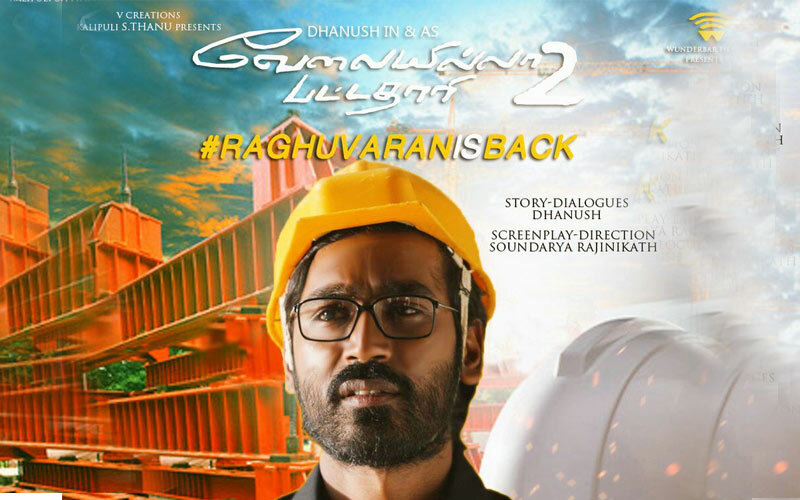 : Release Date Locked | Velaiilla Pattadhari 2 (VIP 2) Tamil Movie News | Cinema Profile" !